With the largest land mass in the Hawaiian Island chain, the Big Island has a long history of huge cattle ranches. West Hawaii Today. Hawaii's lieutenant governor candidates last night praised the efforts of island charter schools — especially the 16 that avoided Furlough Fridays while absorbing budget cuts — and called for more emphasis on early childhood education, but fell short on coming up with new ways to find money for promising programs. Star-Advertiser. With less than two weeks to go before the primary election, the leading candidates for lieutenant governor took part in a forum Monday night about public education, talking about everything from auditing the state education department to improving early childhood education. KITV. More than half of Hawaii's public school teachers leave within five years of being hired, a sobering statistic the state is scrambling to address at a time when experienced teachers are needed to help turn around struggling schools, meet federal requirements for "highly qualified" teachers and reach ambitious school reform goals. Star-Advertiser. Twenty-four people have applied for the job of running Hawaii's public schools. Star-Advertiser. 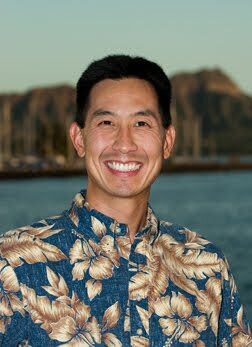 Three Board of Education candidates - two male teachers and a fashion executive who has returned to her native Maui - all promised to visit schools regularly as they explained why they should be elected to serve as a Neighbor Island representative on the policy-making panel for public schools. Maui News. Hawaii congressman Charles Djou officially opened his campaign headquarters Monday on Ward Avenue in Kakaako. KHON2. Hawaii's 2010 primary election ballot is designed in a way that could confuse voters. It also favors the two major parties at the expense of nonpartisan candidates. Civil Beat. Gubernatorial candidate Neil Abercrombie will swing by Honolulu Hale to cast his vote, since early voting has started. Hawaii News Now. Democratic gubernatorial candidate Neil Abercrombie says his opponent, Mufi Hannemann's supporters are using a negative ad and flier to divide the community and attack his character. KITV. Today it is politically correct to be “green.” After all, how can any elected official oppose the preservation of the “aina” and still be elected to office? Hawaii Reporter. Honolulu City Councilwoman Ann Kobayashi is questioning several sub-contracts related to the city's controversial $5.5 billion rail transit project. KHON2. The race to represent the largest County Council district involves two candidates seeking greater communication, an incumbent who won't talk to the Tribune-Herald, and a fourth political hopeful pushing job growth. Tribune-Herald. In Hawaii, surfing is known as the "Sport of Kings," but cliff diving could just as easily have garnered the royal athletic moniker. Tribune-Herald. Maui County will be offered a chance Tuesday to buy a water well in Makawao that could make deep inroads into the Upcountry meter waiting list. Maui News.